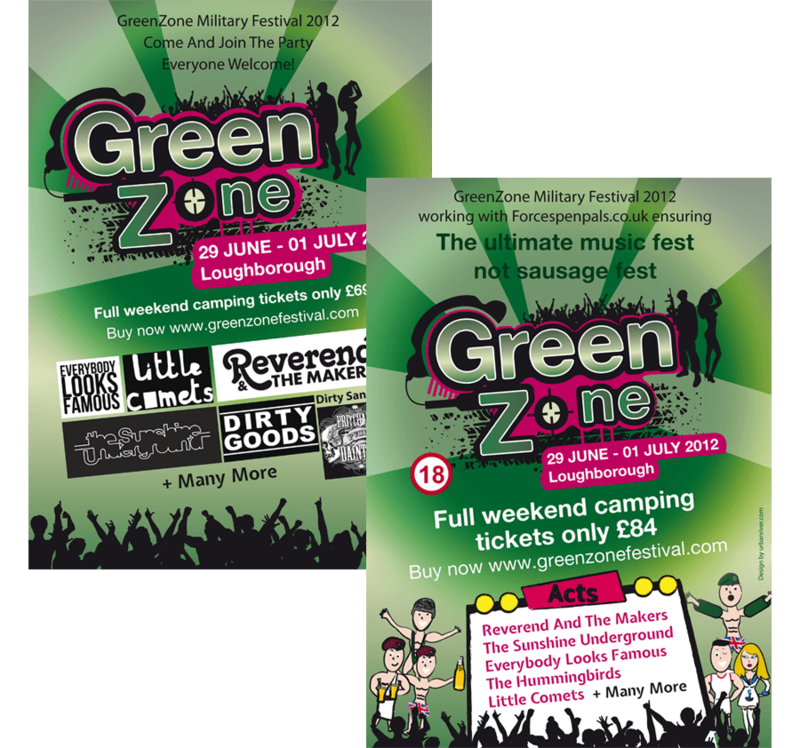 An open air live festival of music, comedy and entertainment for service personnel and their families. 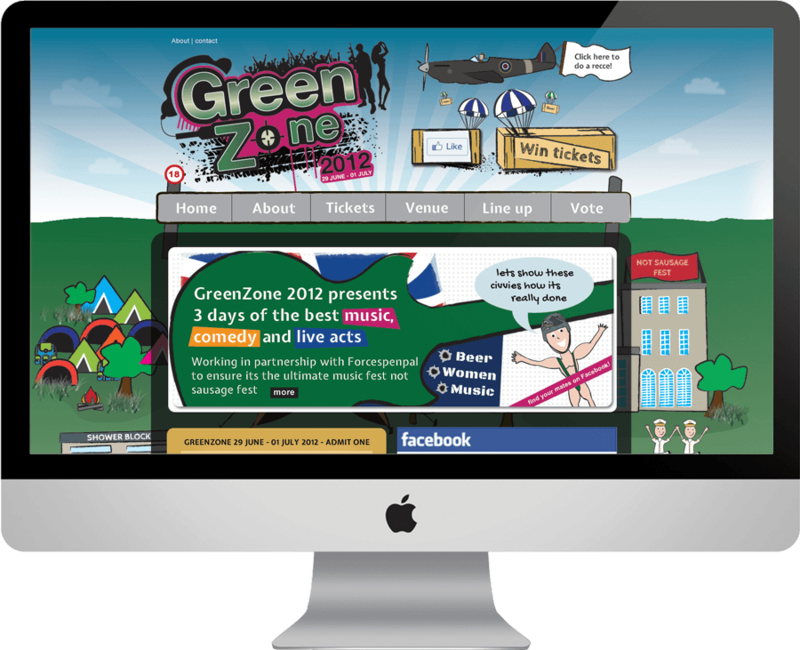 Newcastle web design agency, Urban River, were commissioned to develop a brand identity, website and supporting collateral for a brand new festival of music and live entertainment, GreenZone, all aimed at forces personnel. Urban River created a style and range of scenarios to define the event which were suited to be used across a diverse range of materials including online, social media, press advertising and targeted publicity. 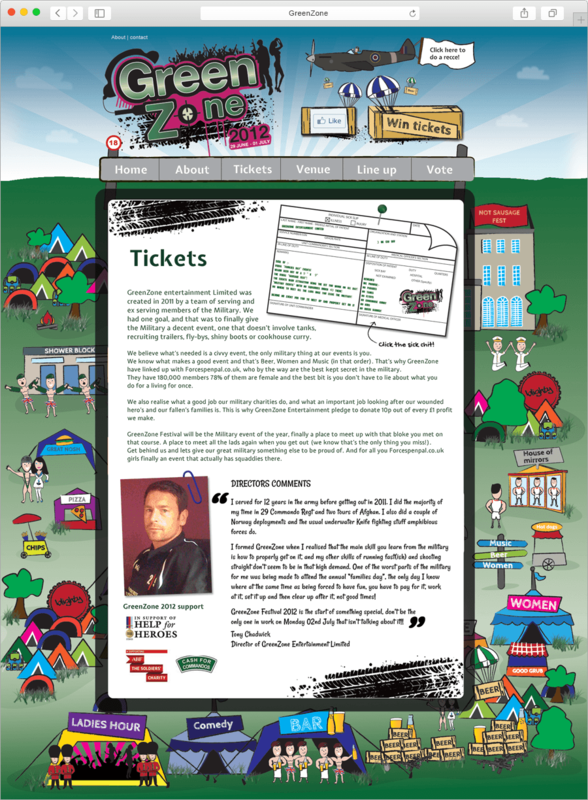 We set about developing a website to promote and retail tickets with social media supporting and providing customer engagement. 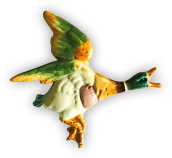 Through the use of vibrant colours and comical illustrations, we developed a “look and feel” which became an instant hit through the use of individual characters. The event generated national publicity and tens of thousands of likes on Facebook. Everyone responded positively to the overall design and ease of use to book tickets online. Social pluginsUsers can quickly and easily like pages through prominent placement of Facebook Like button. EngagingVibrant colours and comical illustrations used throughout the site. Urban River managed to create us an excellent brand which we believe is eye-catching and memorable. Their background ‘Basecamp’ was simple to use and allowed us constant access to the project and how it was progressing. Their team were a pleasure to work with and made what could have been a difficult process relatively simple!